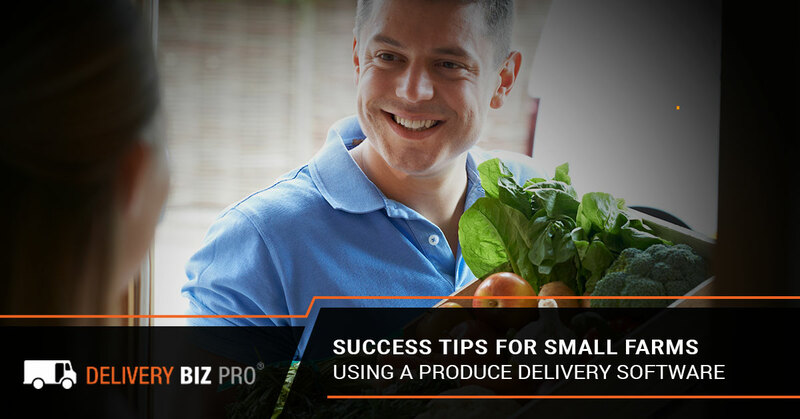 Whether you have been running a successful produce business for decades or you are considering selling your home-grown produce for the first time, you have likely found this page because you are wondering how to incorporate delivery into your business model. As a home delivery software provider, one of the major industries we serve is produce delivery. Now, more than ever, shoppers thrive on convenience. Grocery stores are adapting to this by offering grocery delivery and Amazon has been ahead of this trend for years. If you run a small farm, you can get in on this trend, too. Many farms run on one of a few business models. They might sell their produce at a roadside stand or a farmers market, offer a pick-your-own service, or offer subscription farming through community-supported agriculture (CSA). As we touched on earlier, there is now another business model that many local farms are breaking into: home delivery. Home delivery tends to take something that is very personal, produce shopping, and make it impersonal. Customers can order produce and have it delivered to their home without ever seeing your face. For that reason, we’re offering some tips below to help keep your produce business successful, including how a produce delivery software can help you provide your customers with the best service. One thing that never goes out of style is good customer service. Ensuring that your website is easy to use and that your customers know how to contact you or your representative can help them remember that there is an actual person who cares about them running this produce delivery business. Write an amazing subject line. Customers will only open emails they know will benefit them. Subject lines should be short and leave your customers wanting more. Be brief. Your customers are busy and if you’re sending an email, it’s because you have something important to say. Keep things short, sweet, and to the point. Have a goal for the email. Each email should serve a purpose. Are you introducing new products? Are you offering a holiday discount? Are you making changes to your delivery schedule? In other words, your customers should get something out of reading your email. DON’T YELL!!! IT LOOKS SPAMMY!!!!! WE KNOW YOU’RE EXCITED!!!!!!!!!!!!!!!!!!!! WE ARE, TOO!!!!!!! Emails in all-caps can look more like your grandmother’s political Facebook post than a professional marketing campaign. Get your customers excited by using a friendly and casual tone, including bright images of fresh produce and happy people, and offering a nice little promotional code for a discount off of their next delivery or a special incentive to refer a friend. Get personal. Using our home delivery software, you can send personalized emails to specific customers for their birthday, their one-year anniversary as your subscriber, if a customer has unpurchased items sitting in their cart, or for other reasons. If you’re sending out emails to your customer base, make sure you are able to track what works and what doesn’t so you can adjust your strategy for the most results. With the Delivery Biz Pro home delivery software, you can track your email communications and see who read it, which links inside the email were clicked on, and find out just how effective your email communication is. When someone shops at a grocery store, they can interact with the produce they’re buying and pick the best-looking items from the shelf. When someone orders produce online for delivery, they have no idea what they’ll be getting. Reach out to your current customer base and ask for reviews of your produce and services. Chances are if potential customers see that your existing customers rave about how fresh your produce is, then they’ll be more likely to commit to your service. When delivering produce, you need to ensure your prices are fair for the quality of your produce and your delivery service. While some customers will be pickier than others, you can take steps to prove to your customers that your produce is fresh and of a high quality. One way you can convey the quality of your service is through certain certifications. Examples of certifications include organic, pesticide-free, non-GMO, and compliance with Good Agricultural Practices (GAP) and Good Handling Practices (GHP). The larger your business grows, the more difficult it will be to provide consistent, accurate home deliveries, especially without a good produce delivery management software that integrates all aspects of your business. At Delivery Biz Pro, we have created a customizable home delivery software that streamlines processes from the moment a customer enters your website to when they place an order to when their delivery is dropped off. Learn more about using Delivery Biz Pro as your produce delivery software provider by telling us a little bit more about your business. Fill out our short no-commitment home delivery software application form and we’ll be in touch to chat about your business model and find out if we’re a good fit for you. Breaking into the home delivery sector can be intimidating, but with the right software to help run your business, you can see how streamlined and straightforward the process can be.